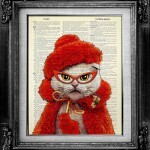 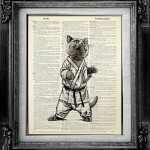 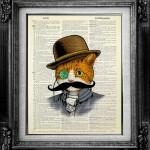 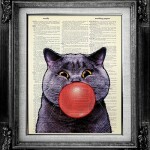 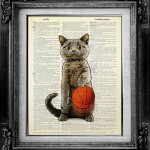 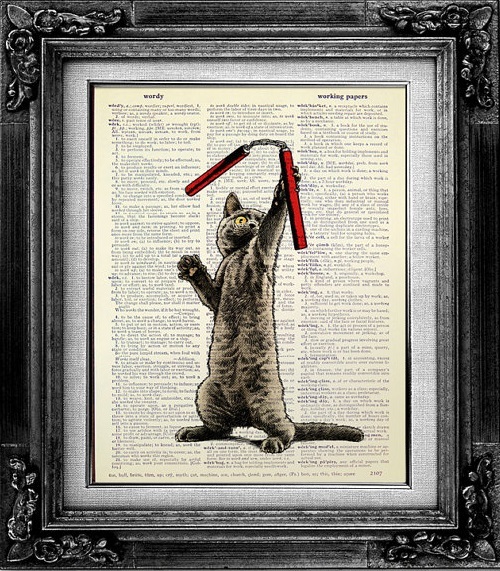 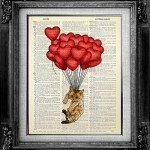 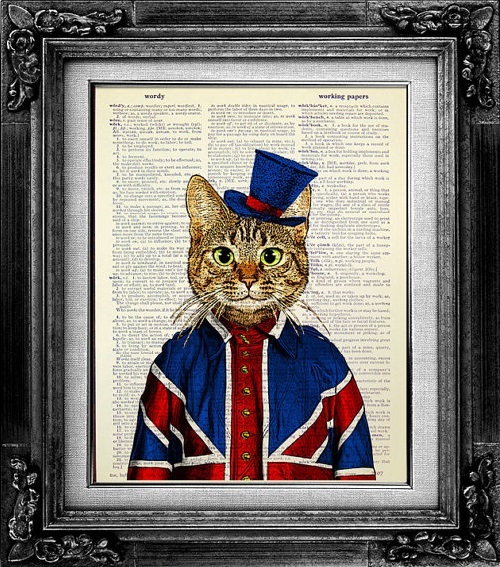 For any cat lover this one-of-a-kind Cat art on Vintage Dictionary pages will be pleasing to the eye. 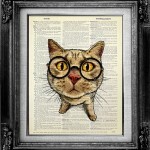 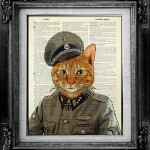 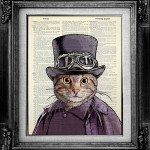 And what cat lover would not want to decorate the walls of his room with these original handmade artworks with the images of cats on old book pages. 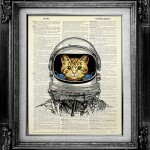 Cats here are strict and serious, they are the Queen and the Military Soldier, astronaut and stimpunker, hipster and football player Jordan. 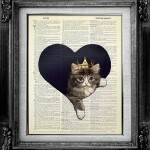 Whatever they are – they are funny and loving. 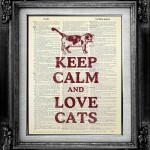 The appeal of these posters is simple – keep calm and love cats. 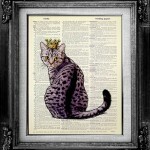 Original Design Artwork by GoGoBookart is sold on Etsy (shop owner Olivia Yoka) and shipped worldwide from Hong Kong.